How to change language in Office 365 portal in hybrid setup? How to change language in Office 365 portal in hybrid environment? Although this may sound as no big thing, changing the language in hybrid environments can actually be far from obvious. Let’s assume that your company integrated on-premises Exchange infrastructure with Exchange Online to accomplish a certain business purpose. In practice, it means that user accounts from local Active Directory are synchronized to Office 365, e.g. to ensure better user experience and improve productivity. Once the accounts are synchronized, users can work with various applications available in the Cloud from actually any place in the world. 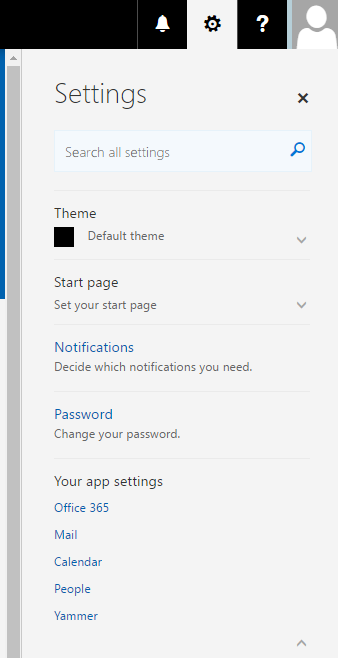 When you log in to Office 365 portal for the first time, you may want to change some settings to personalize the user experience. If the portal displays text in the non-native language, this perhaps will be the first thing you would like to adjust – changing the language. 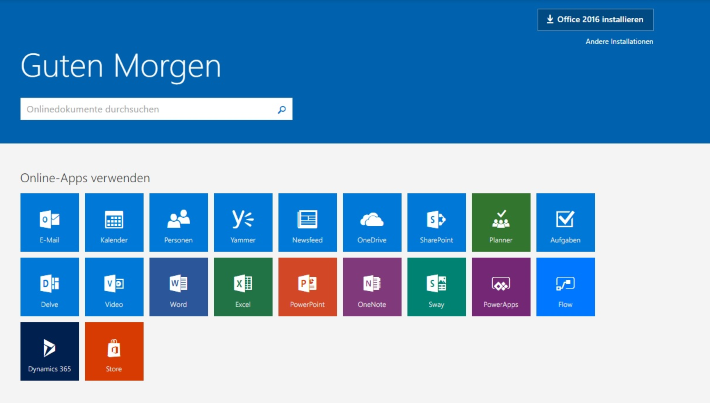 So why there is no such a button in your Office 365 portal? It means that in a hybrid environment that is configured in your company, you are not allowed to change the language settings on your own. If that’s true for you, you need to submit a request to your IT department. If you are a user who is a part of hybrid deployment, you will not be able to change the language settings by yourself. This is because the settings in Office 365 are simply synchronized from local Active Directory. This task is handled by administrators via the Azure Active Directory Connect tool. Having this in mind, you need to ask an administrator in your company to change the language settings in Office 365 portal. For example, if the administrator provide the de value for the preferredLanguage attribute in the String Attribute Editor – the language in Office 365 portal will change to German, and when they set up en-GB – the language will switch to English (United Kingdom). Click here to view the complete list of Office 365 language IDs. If you need to change your Office 365 portal language again, simply follow the steps above. How to recover deleted emails in Office 365? Great articole. Many thanks. It helped me a lot. Does anyone know what are the supported languages for O365 interface? like a table of them. Thanks for the above instructions it really helps. 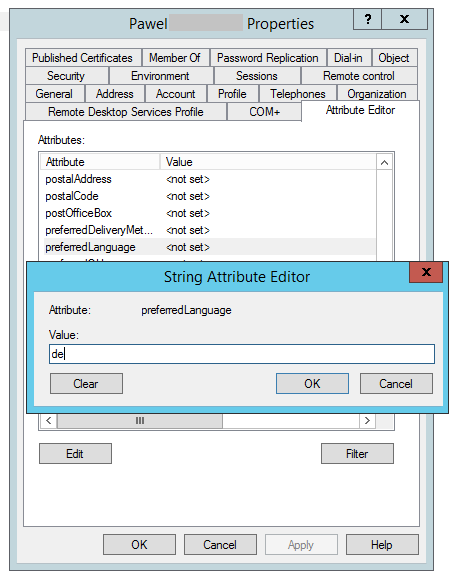 In this archive article, you can find a list of values accepted by the preferredLanguage attribute, although I cannot guarantee all of them are supported in Office 365. I have not come across such a list published anywhere. As for a workaround, you could start an Office 365 trial, and go to My account > Settings > Lanugage for a dropdown list of all available languages. Thanks for the list, I tried cy-GB as for Welsh but didn’t work it was only a guess. Sorry, but it seems that Welsh is not supported, as it is not even listed in Office 365 language settings. Had it been an option, cy or cy-GB would be a correct language code. Thanks, is time zone similar? Time zone is a bit different – it is not set to Active Directory but to a user’s machine or to Office 365 account directly. The easiest way to change it in Office 365 would be for the administrator to use the Set-MailboxRegionalConfiguration cmdlet.